Benitoite is a barium-titanium-silicate mineral rarely found in serpentinites that are hydrothermally altered. Benitoite fluoresces when exposed to short-wave ultra violate light. It usually appears bluish white or light blue under UV light. The rarely found white Benitoite fluoresces under long wave ultra violate light appearing red in color. It is the Official State Gem of the state of California since 1985. The chemical formula for this mineral is BaTiSi3O9. Benitoite was first found in Dallas Gem Mine in California. This blue mineral was thought to be sapphire when it was first discovered. Dr. George Louderback was the first person to identify it as a completely different and new mineral in 1907. He named it “Benitoite” as it was found in San Benito County in California, near the headwaters of San Benito River. Appearance: The crystals of this mineral have a transparent or translucent appearance. Color: This mineral is usually blue in color; however, colorless crystals of this mineral can also be found. 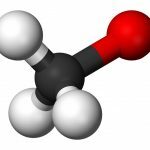 Molecular Weight: The molecular weight of this mineral is 413.5 gm/mol. Crystal Habits: It has tabular dipyramidal crystals. Crystal System: It has a hexagonal crystal system. Fracture: The crystals of Benitoite have conchoidal fractures. Hardness: The hardness of this mineral ranges between 6 and 6.5 on Mohs scale. Luster: These crystals have vitreous luster. 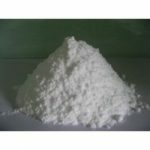 Solubility: It is insoluble in Hydrochloric acid (HCl) and Sulfuric acid (H2SO4) but soluble in Hydrofluoric acid (HF). Density: It has the density of 3.6 gm/cm3. Specific Gravity: Its specific gravity is 3.6. Streak: The streak of this mineral is white. Optical Property: Benitoite has uniaxial optical property. It is an extremely rare mineral found in very few locations such as the San Benito County in California, Japan and Arkansas. In San Benito, this mineral occurs in many natrolite veins in glaucophane schist within serpentinite bodies. 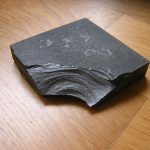 In Japan it is found in magnesio- riebeckite- quartz- phlogopite- albite dikes that cut a serpentinite body. The gemstone quality Benitoite is only found in California. 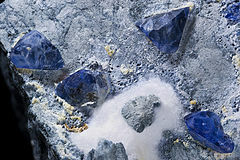 Benitoite is used for some different purposes; however, its rarity limits these uses. This beautiful mineral is used as a gemstone for making jewelry. Another important use of Benitoite is as a mineral specimen. The unique crystals of this mineral are highly valuable as collectable specimens. It is also used as a minor barium and titanium ore. The hardness of this mineral makes it quite useful as a gemstone. However, its rarity makes it quite an expensive gem. Rings, earrings, pendants and bracelets made using Benitoite gems are very popular. The fact that it resembles the finest sapphires in appearance makes it more appropriate for making jewelry. One can buy this gemstone in jewelry shops as well as online. There are many companies offering Benitoite jewelries and gemstones online at proper prices. It is also available in its rough mineral form. The prices vary according to the quality and purity of the product. Benitoite is highly valued for its beautiful crystalline appearance. Its uses as an ore for some other materials are limited due to its rarity. However, the fact that it is only found in California makes it even more valuable and precious as a gemstone and mineral specimen.